Baby Store software for baby and toy shops that makes it easy for your shop to maintain its Billing, Inventory, Customers and accounting. In baby store, customers always look for good quality and branded items as they take utmost care of their child. Business owner always wants to maintain good relation with customers because it can bring buyers to shop at-least for 2-3 years. So noting down customers information, taking feedbacks and suggestions are key factors to improve the business. Providing special discounts to loyal customers will also increase the regular footfall to the store. Clothes, toys, personal care products are the major inventory for the business. Just billing baby store software will make your billing process so easy as you can categorize the products separately and can use size matrix, which is very useful factor in clothes category. You can easily list the details of suppliers, so that you can easily place the purchase orders whenever needed. Also you can record the details of customers. So that it will become very easy to track the suggestions, feedbacks and providing special offers or discounts to regular customers. Just billing is a simple, quick and efficient billing software. You can do complete billing whole billing process in just few taps, barcode scanning or mobile scanning according to your preference. Tracking your expenses helps to you to know where your spendings are going and gives accurate reports of it. You can only know about profits when you are having perfect knowledge about your expenditures. Every business will have few products, their sales will happen like hot cakes. We need to have proper knowledge on them because those brings lot of money to business. Just billing give you sales reports in that you can easily find out most selling products of your business. Knowing about your suppliers and customers are one of the most essential factor of business. Always know what customers want and get them from your suppliers. With just billing we can easily know what are the products are supplying by which supplier. You do not need to calculate a lot to know about inventory status. In just billing inventory will auto update with every sale. You can know how many products are left by whole and also by each product in real time with just one click. There will be lot of products having different sizes or colours. It will become difficult to create products for each size or colour and also hard to find product during billing. So just billing software gives you option to create matrix for those products. So in just click on product, you can get to know what all sizes or colours available. 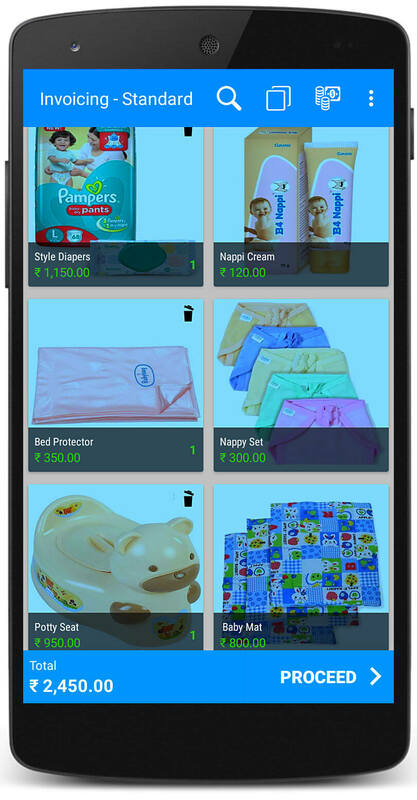 Download and follow simple steps to setup Just Billing Baby Store Software.